The scene was the UEFA Super Cup against Real Madrid, and it wasn't a pretty picture for Marouane Fellaini. 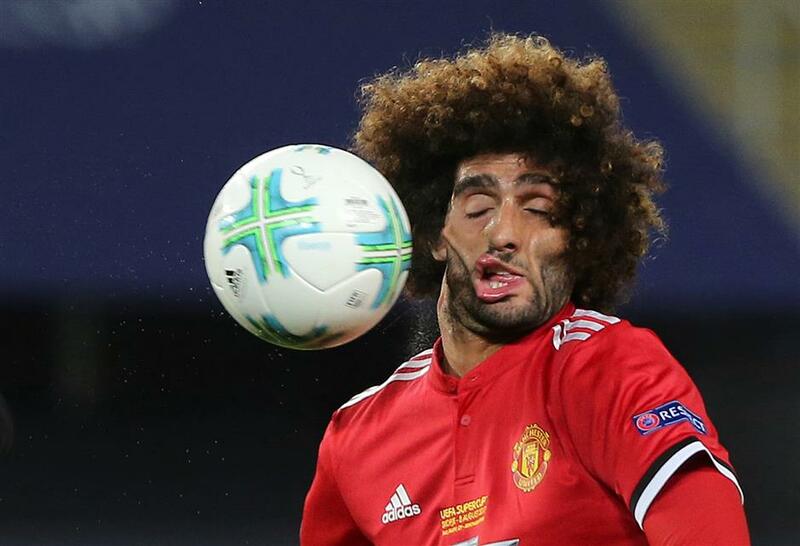 Manchester United's Marouane Fellaini takes the ball to his face during the UEFA Super Cup match against Real Madrid at Philip II Arena in Skopje, Macedonia, on August 8, 2017. Still, the Manchester United star had something to laugh about following the 1-2 loss in Skopje, Macedonia. A photograph of Fellaini's distorted face beside the ball attracted plenty of attention in mainstream and social media. Fellaini took to Twitter in good humor to joke about the battered image, posting the photo with the accompanying note: "Thank you to everyone who posted & sent me this."